Epic Games has announced Unreal Engine 4.19, which it says delivers the slickest development tools yet and provides wide ranging improvements to both the creation process and the resulting software. General highlights include; a new Live Link plugin, improvements to Sequencer, improved animation tools, landscape rendering optimizations, dynamic resolution, and the 128 improvements submitted by the community of Unreal Engine developers on GitHub. Probably the standout feature of UE 4.19 is the new upscaling method called Temporal Upsampling. 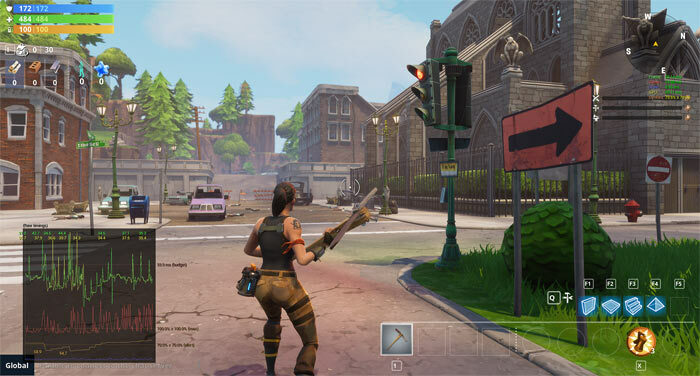 Epic says that this algorithm "performs both a temporal accumulation of the frame at lower resolution and primary spatial upscale, reducing output blur." A brief video, embedded below, shows Temporal Upsampling in action. Dynamic resolution is another welcome introduction, especially for console gamers. On PlayStation 4 and Xbox One Dynamic Resolution adjusts the resolution as needed to achieve a desired framerate using a heuristic process based upon prior GPU workload. Epic has also put together some new features for the hot segment of AR. There is a new unified Unreal AR Framework for building Augmented Reality apps for both Apple and Google handheld platforms and a full AR project template to get you started. Creative developers will welcome both improvements to the day to day tools, such as the sequencer and animation tools, and the expansion of creative options that can be yielded within the development environment. Prime examples of the new flexibility afforded to developers includes; the new physical light units, the Maya Live Link Plugin improvements (demo video above), landscape rendering optimisations, (experimental) material layering options, cloth updates, and improved facial animations using curves (demo video below). If you are particularly interested in UE 4.19 and its enhancements it is worth a look through the full introductory blog post and the even fuller set of release notes available on the UE forums.